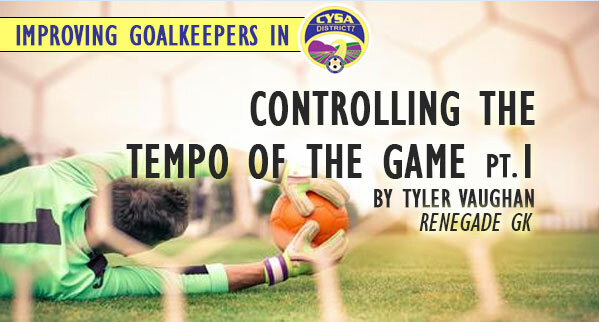 There’s a few things to think about and that’s because the goal kick can be an excellent tool in the goalkeepers arsenal to help control the tempo of the game. There are endless ways in which you can use your goal kick, but let’s look at a few of the key options. This is the main way that goalkeepers can utilize their kicks to manipulate the game in front of them. There are many reasons for this but the main one is for when the opposing team is putting pressure on your defenders. Kicking the ball up field is a great way to give your team a chance to get a break. It’s risky because your opponents may immediately regain possession of the ball. If you’re trailing behind in the latter ends of the game then this is a good tactic to use. You sometimes want the other team’s strikers to pull back into their half as much as possible to prevent them getting another goal.